Quiet and safe place. A lot of sporting events in that place. A lot of students, socializing and entertainment. A little tourist place, peaceful, relaxing, surrounded by two lakes. The climate is mountainous, it usually does not exceed 25 degrees, the nights are breeze. Life in America itself is fast, everything is going very fast, everything you have, everything is at your fingertips, the opportunity to earn and spend it. Much has happened during the summer of parties, fun with friends, dates, sopingovanja, really every day was filled. Totally a different energy that prevails there, nothing is difficult, and after a day of over 10 hours, it is not difficult to stay up late and drunk by the society. Of course there must be responsibility and seriousness of the work, because every employer requires a maximum of all of us who participate in the program. It also happens to meet people who you meet in every respect, that you endorse, and is born a new unexpected love, which can take some time and lasts as in my case, for example, and I'm really happy, and I always say that things happen to reason. And then it happens fifth month, the month in which you as released with the chain on your own, eager to see everything, so much and so little time. Come with two suitcases full of stuff full of experiences, memories, at which time you'll go through it again, get a lot of new friends, familiar and see what you used to watch the films you've ever imagined how it looks, is it really so milion as many questions as answers and only one month. Each of the students has different paths, some go to the party and the beach, the southern part, mainly Puerto Rico and Miami, and some like me went through the west. So my way out of the Big Apple began the year in San Francisco. Come to California, I came into the most beautiful city in the world for me. I always had the idea that the San Francisco many beautiful city, the most beautiful, and I confirmed convinced of this. From the beautiful Golden Gate's, to the Pacific coast, from Alcatraz to Lombradi Street, Pier 39, and all other things and opportunities that San Fran offers. Wandering the steep streets, for me, was a pleasure and happiness because I'm finally here, exploring all the charms of this city, drinking beer in some of the best pubs, caused the complete satisfaction of me. After the enormous luck I take a flight to NY and return home, caused two emotions that were fighting, one wishes and luck that I am in San Fran and the need to stay, and the other the desire for a house, family. After arriving in the Big Apple, he threw himself into research, exploring the same. The days are not much different from the taxi-payments and 70 $ to the invention of our restaurants in NY and drinking domestic beer, with an unforgettable fragrance and enjoy the chevapi. NY is really a lot to offer, but honestly I did not like, it's crowded, all have much the crowd, in my not so great. I worked one job because it was enough for me so I didn't asked for another job but I know that whoever search it had found. Accommodation: Accommodation was not bad, paying $ 50 a week. A little humble place . Finding another job is easy. People are pleasant. Lake Placid is a very nice place , it is located between two lakes and surrounded by untouched nature , the climate is very good without excessive heat during the summer. During the season comes a lot of tourists and the possibility of finding additional work is excellent , whoever wanted he has found another job. I worked 3 jobs. Only those who did not want to do further had another job. The place is small but definitely has fun . 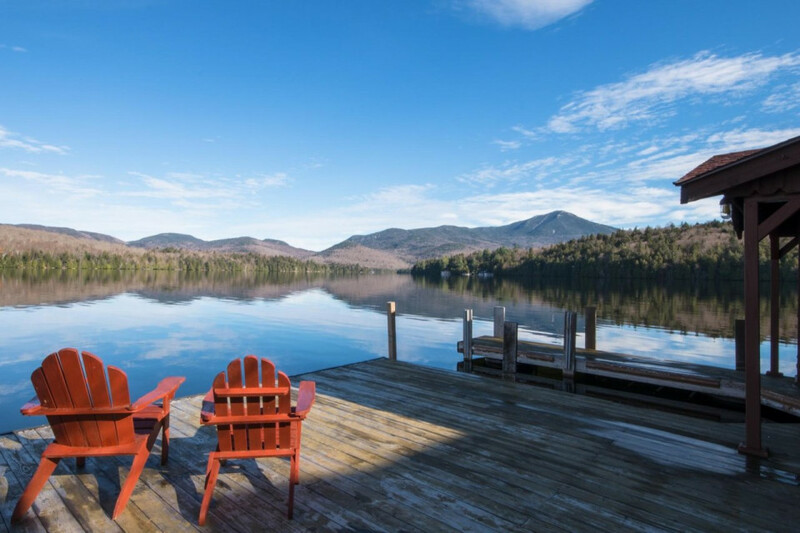 Plenty of pubs , local restaurants , club .. Those who prefer the nature of entertainment can take advantage of free days at the lake ( boat rentals , kayaks ... ) , hiking (more than 20 peaks in the vicinity of Lake Placid ) , research Museum , Olympic Centre , and the like . The town is small, tourist , there are plenty of hotels and restaurants, and is there a possibility of finding another job . This is mountain area , however, the summer is not hot . As for night life , nothing special - a pair of cafes, a small disco. Lake Placid is located in the north of the state of New York in the middle of Adirodack nature park where there is still a million small lakes like Lake Placid and Mirror Lake-a. The closest Saranac Lake, and from major cities Plattsburgh is an hour's drive. Lake Placid is a very bad connected by bus lines, so it is best to find someone with a car who goes often to Plattsburg or Albany, where there are shopping centers and amusement parks. Or course, rented car. It has about 2500 inhabitants. In Lake Placid is all concentrated on Mirror Lake in along Main Street's restaurants, pubs, clubs, shops, station, hotels ... The only market out of the lake, about 20-30 min walk or 5-10 min city bus, which is free and which runs around the lake and to the supermarket several times a day. Nightlife is not so bad for such a small place on Wednesdays at the bowling alley is organized bowling evening, Thursday at Roomers Lady's night or pay for one drink another gratis, Fridays Balkan evening in the Arena, Saturday Roomers, but there are good pubs like the Wise guys-a i-Cottage with rock music and good food ... However, a better nightlife in Plattsburg and other major cities. Tourist town full of work. You can easy find second job . Nightlife is a good 2-3 disco, several taverns. And as the city is beautiful , the lake is located in the city center. Accommodation: We were accommodated in Crowne Plaza Dorma , in an apartment with 3 bedrooms 3 beds , 2 bathrooms , living room and kitchen . we paid 200dollars month, it is not expensive .